Need spots removed from your carpet? For a free estimate, please call 509-925-3216 today. 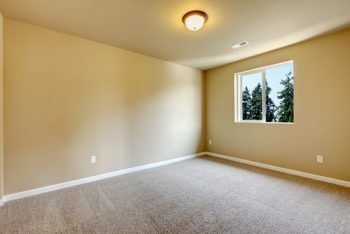 Ajax Janitorial, Inc. is a licensed and insured carpet and upholstery cleaner in Ellensburg, WA serving residential and commercial customers throughout Kittitas County WA. In business since 1984, we are a family owned and operated business founded by Terry and Lois and are dedicated to customer satisfaction. Our uniformed professionals at Ajax Janitorial, Inc. provide personal, friendly services for jobs large and small. We are honest and will treat you like we want to be treated. Whether you need your area rug cleaned or a spot removed from your upholstered furniture, rely on our honest staff for top-notch services at affordable prices. Ajax Janitorial, Inc. neither uses high pressure nor pushes sales you do not need. We just want to help you keep your home clean and healthy–we guarantee our work. We aim to build lifelong client relationships. As an accredited business of the Better Business Bureau with an A+ rating, you can rely on our experts for dependable, quality services. We are also a member of the Kittitas County Chamber of Commerce and have an ‘A’ rating with Angie’s List. At Ajax Janitorial, Inc., we pride ourselves on helping you keep your homes clean and healthy. Our work is guaranteed so contact us today for a free estimate at 509-925-3216!